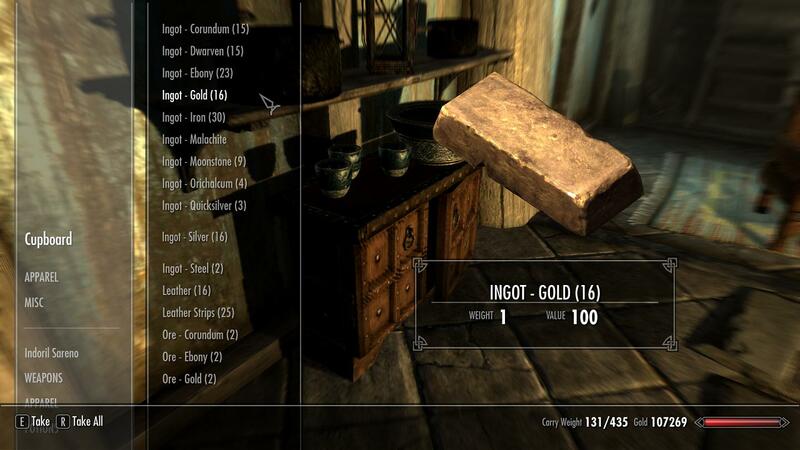 Skyrim mods (and modders) come in many flavors. There are the ones that add content to the game, whether it be new dungeons, NPCs or items. and there are mods that change the rules or restrictions to make it easier or harder to accomplish stuff in Skyrim. Then there are the graphics and user interface tweaks that just make everything look better. Most mods fall into those three categories, but that doesn't mean there aren't a few outliers that are just plain weird. I'm looking at you, My Little Pony sleeping bag mod. I generally prefer to play with mods that don't alter the rules or world as it was designed, at least until I spend about a hundred hours or three. I need to be grounded before I feel comfortable messing with the underlying assumptions of the world. Last week, I showed off the best mods I used early on in my adventures that tweaked the graphics and user interface. Here are a few more mods that let me concentrate on slaying dragons and stealing lady clothes in Skyrim instead of wanting to find the guy who designed the UI at Bethesda and throw a mug of hot Nord mead in his face. Nothing telegraphs that you are near the sea more than the cawing of seagulls. Those white and gray rats with wings - if you live near the coast you know seagulls will eat your sandwich from your hands if you're not careful - have one of the most recognizable bird calls in the world. 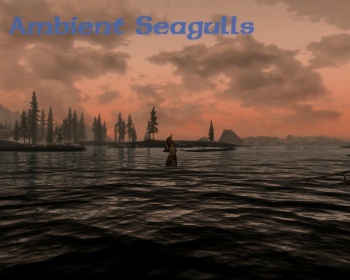 I didn't notice how much I missed their incessant cries when I was by the docks in Solitude, or adventuring near the frozen shores to the north, but once I installed Ambient Seagulls I couldn't imagine playing without it. Sound design is more important to immersion than most gamers realize. The addition of a subtle sound effect to the right areas in Skiyrim has a dramatic effect, and I'm going to be watching for more sound mods to make my experience richer. This mod is hit or miss for me. From the description, changing the names of some of the items in your inventory to assist with sorting sounds like a great idea. And when I read that this mod was compatible with QD Inventory, I jumped all over it. Better Sorting generally works as advertised, changing the names of, say, health potions you find in the world from annoyingly imprecise text like "Potion of Minor Healing" to "Restore Health - 25." 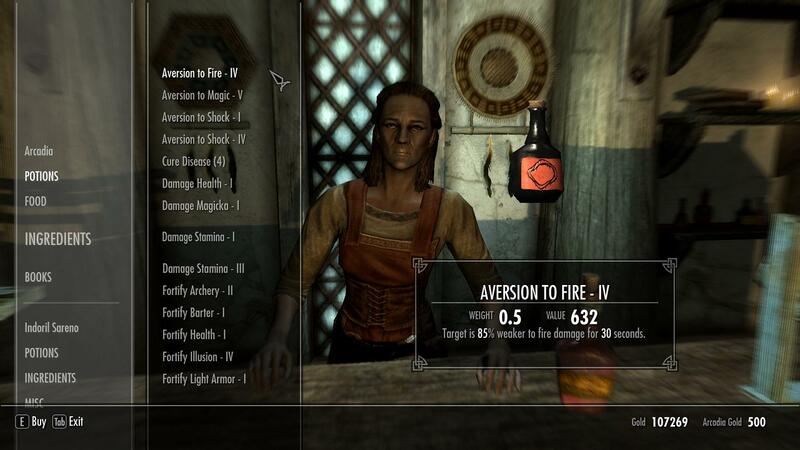 No more selling the wrong potion or frantically searching your inventory for the right potion during a fight. Even more useful is the reordering of words to make efficient sorting possible. Arrows all have that word first in their title is now "arrow" with the descriptor word after it: "Dwarven Arrow" becomes "Arrow - Dwarven." 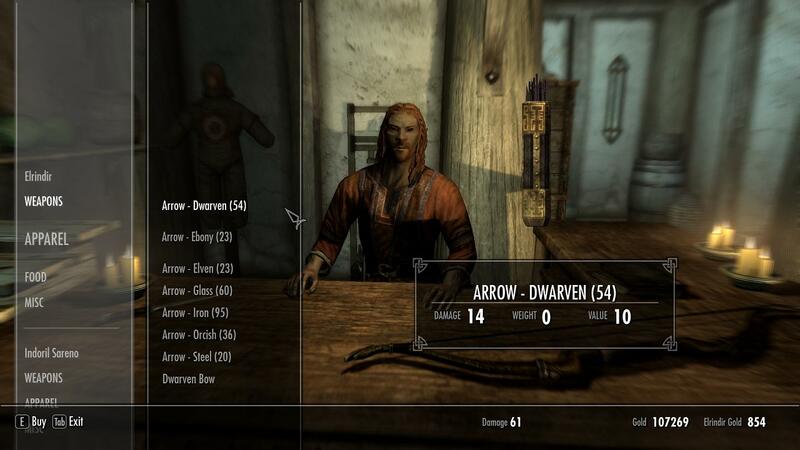 That way, all your different piles of arrows aren't spaced out all over your inventory list. Simple, right? The problem with Better Sorting is that not every item can be altered without access to the Creation Kit from Bethesda. For now, the mod works fine and I will be keeping it installed on my machine, but I will be watching for when the CK drops for a more complete alteration of the item names.